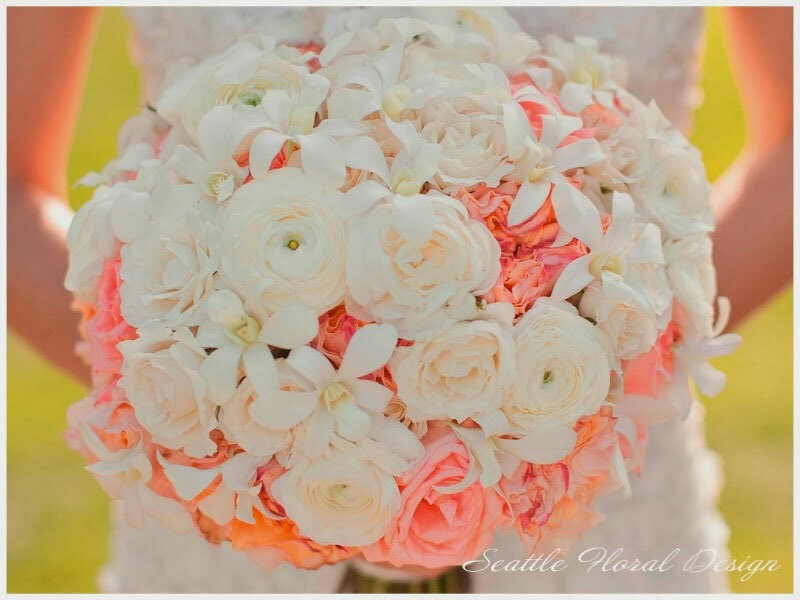 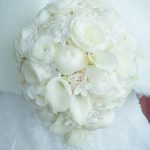 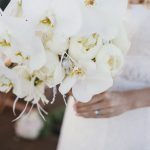 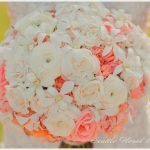 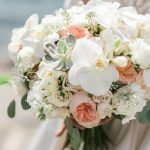 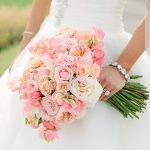 This light summery bridal bouquet is a combination of peach garden roses, white ranunculus, coral roses, white orchids, all bonds together with a soft cream chiffon ribbon having a flower pattern. 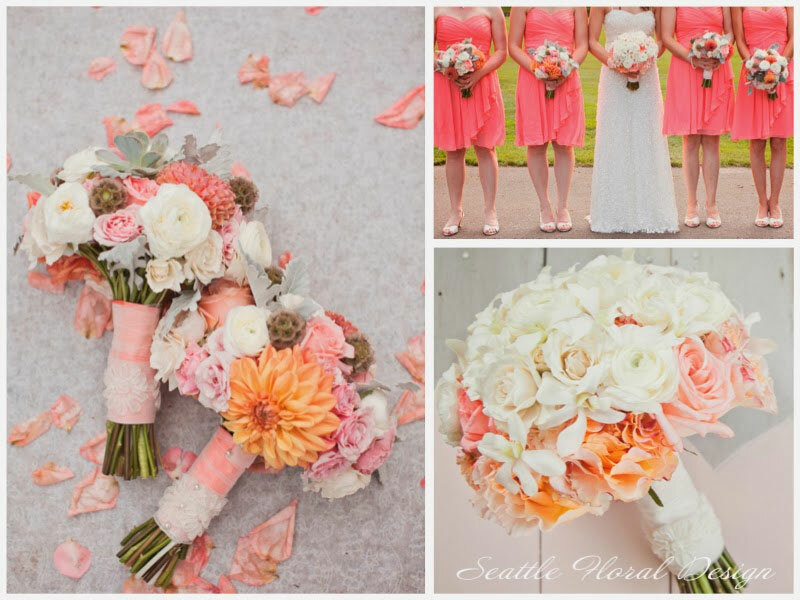 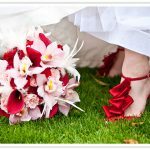 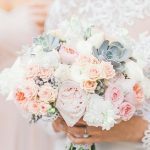 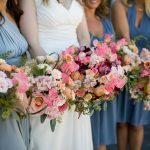 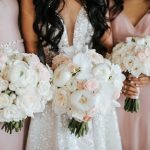 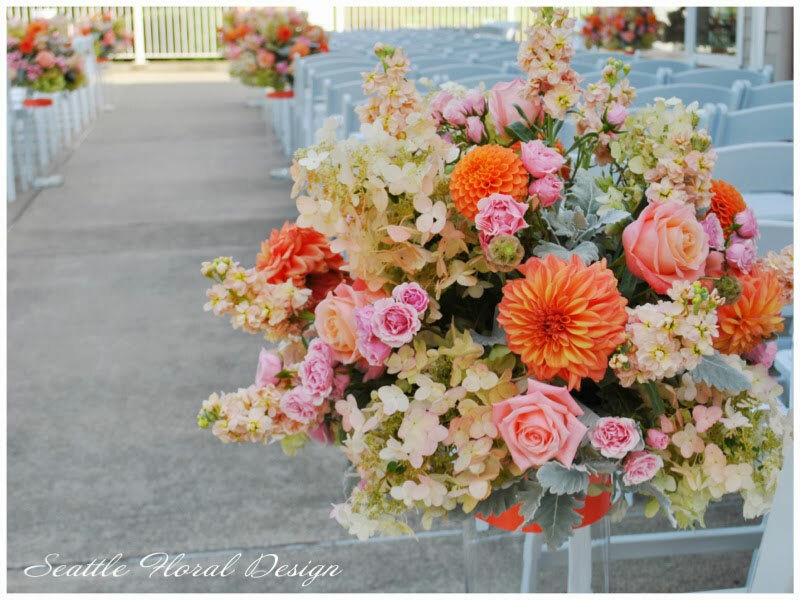 Coral roses, peach dahlia, miniature blush roses, scabiosa pods, and silver Dusty Miller are punctuated with succulent for spectacular bridesmaids bouquets finished with the same ribbon details as a bridal bouquet. 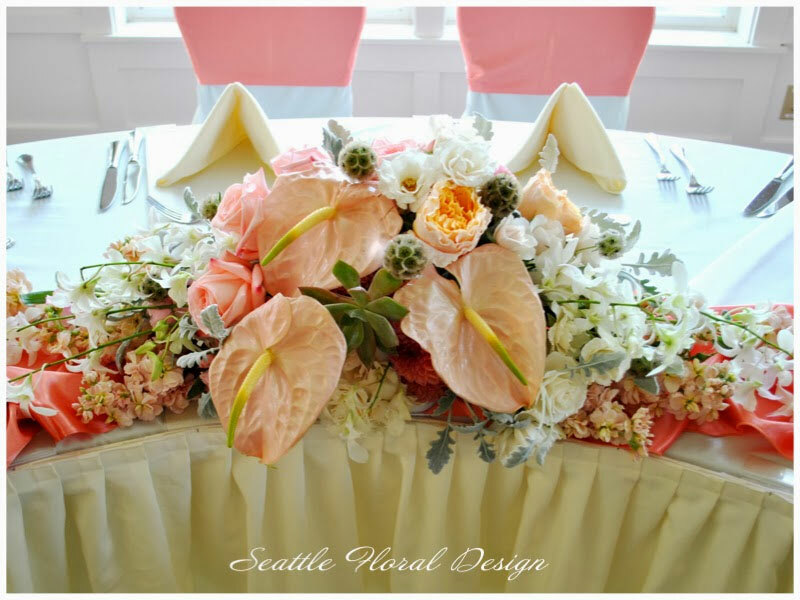 To bring more colors to the reception site each table had a coral runner and coral sashes on the chairs. 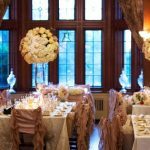 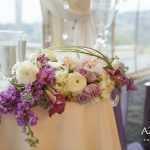 Two dimensions of the arrangements made a room cozy and romantic. 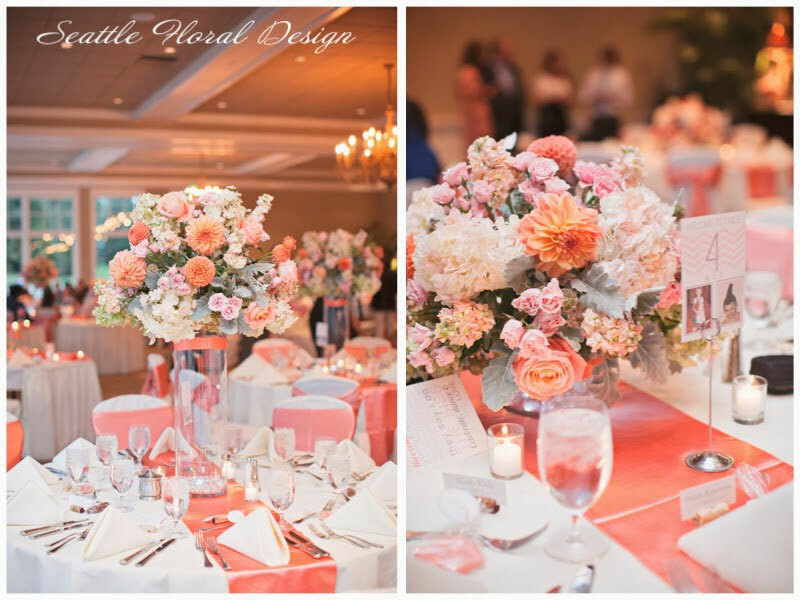 Coral anthorium for a head table centerpiece along with peach garden roses, succulent, white ranunculus, and white orchids looked absolutely amazing! 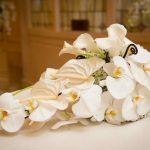 Look at the cake! 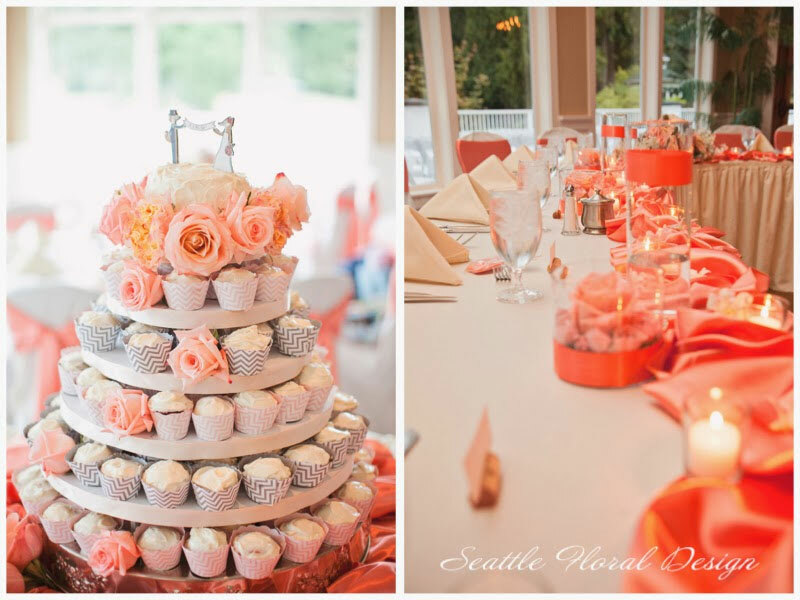 Cute Fox family is a cake topper. 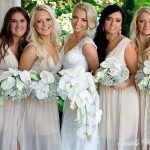 If I could give Lana 10 stars I would!